We are just less than a week shy of Super Bowl 49 and it is really set up to be juicy. That’s what we all thought last year with Manning’s high octane Bronco offense, but the Seahawks proved again that defense wins championships with a sprinkle of awesome offense. The playoffs this year for the 2014 NFC conference were a wild an emotional roller coaster for just about every fan, player and referee!! The NFC playoffs provided much controversy to discuss and each week came poetic justice for the disgruntled eliminated fan of the prior weeks NFC team. There is no need to get into analysis and discussion about all the “Legal” crap calls. All that is over, but if you stop and look there has been heartbreak, victory and then JUSTICE FOR ALL. In some way the seed for playoff controversy and the drool for justice came right before the playoffs. When NFC North division rival Packers fans were screaming at the fact that Lions DT Ndamukong Suh had won an appeal for “intentionally” back peddling onto Packer’s QB Aaron Rodgers. Well, sure enough the first week of the playoffs every Packer fan was most likely watching the Cowboys-Lions game, all in hopes of the Lions losing (because that’s what Pack fans want to see). What they got was more than a loss, it was a Lions heartbreak for the ages. QB Matt Stafford threw a pivotal pass to TE Brandon Pettigrew and Cowboys LB Anthony Hitchens was initially called for a pass interference. We all know what happened next, especially if you love the Lions, Fourtie-Five seconds later the call is overturned head linesman Jerry Bergman…and justice is served for the Packer fans. So the Cowboys advance and Lions fans are left disappointed again, but a fun season for them to watch. Now let’s move on to the Packers-Cowboys game. This game was a fun one to watch, as it came down to the end with 2:35 left in the game and a 4th & 2. 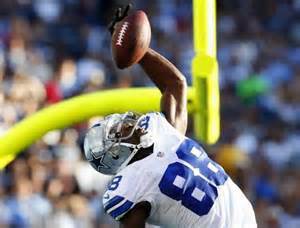 Tony Romo throws a bomb to WR Dez Bryant in which he makes an amazing catch to come down with it at the 1-yard line…or so we thought. Packers Head Coach Mike McCarthy does what any football coach would have done in the situation, he pops his red laundry to the feet of the ref`s. The play is reviewed and the catch is overturned, at that moment the sports world explodes into debate, arguement and agreement. Well according to Rule 8, Section 1, Article 3, Item 1 “Blah, Blah, Blah” court is adjourned justice has been served for the lions fans. The catch seemed so magnificent that it could of possibly defied the doctrine rules but it was a judgment call and who`s not thinking that the refs we debating that they need to balance out their reputation from the controversy lit the week prior. So end result is, families are destroyed and food fights break out at Buffalo Wild Wings across the country between fans. Now we move on to the most recent game, the NFC Championship game featuring the Packers vs. Seahawks. In this game there was no (GIC) game impact call or controversy, but there was definitely justice for the Cowboys fans and the Lions fans. For three quarters Green Bay managed to do what no team really has been able to do, which was shut down Seattle completely on both sides of the ball. Then came the fourth quarter and court was once again in session. 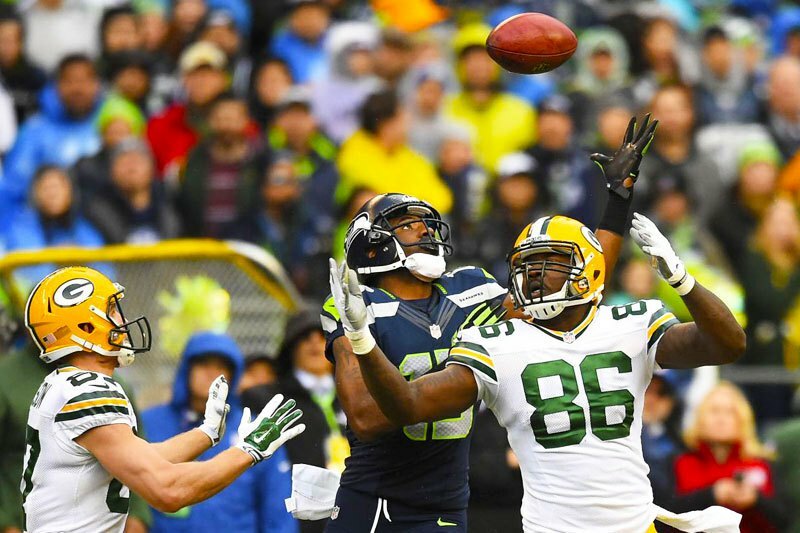 The Seahawks found a way to rattle the Packers by exploiting the team after holding them to a three and out from a series that was created by possibly a game ending packers interception. Anybody who watches sports knows what happens next; Beast quake, Hail Conversion, Onside Ball-HAWK-in, coin toss for the loss and 2 big throws. Did the Seahawks win in creative fashion or did the Packers lose in an epic wonder? Regardless, there may not have been bad calls or controversy but justice was served to the rival Lion fans and disgusted and cheat-felt Cowboy fans? These last three weeks of NFC playoff games has been an adventure and discussion for the ages, minus the Panthers and Cardinals who proved to be irrelevant pretty early with no real entertainment value. There is still one more game to go and by the way things are going, history and trends in sports have proven to be a real thing to repeat. The way things are going for the NFC, Packers fans may witness a prosecution and feel the euphoria of NFC Poetic Justice 2015…this court session is now closed!